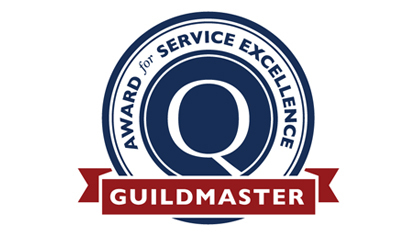 Pine Street Carpenters received a 2019 Guildmaster Award from GuildQuality for demonstrating exceptional customer service within the residential construction industry. Since 2005, GuildQuality, an Atlanta-based third-party customer satisfaction surveying company, has presented the Guildmaster Award to recognize and celebrate home building, remodeling, and contracting professionals demonstrating the highest level of customer service within the U.S. and Canada. Thanks to all our clients for trusting Pine Street with their remodeling projects and sharing their Pine Street experience with GuildQuality!